Kiel week lived up to its reputation with heavy wind and cold weather. This event threw everything it could at me from big breeze and a strong fleet to unpredictable racing schedules (delaying us all day then launching us at 7 pm). My results might suggest that I didn’t have a good event but in fact, it was a great learning experience for where I need to be in order to be successful competing in these types of fleets and at world-class events. Not only do you need to have a complete sailing skill set but you also need to be in the right spot mentally to compete at 100%. In the case of this event I was not prepared fully in either category. I did however spend the regatta focused on my starting and saw positive results in this aspect towards the end of the event. I plan to carry this onto u21 worlds in Gdynia! Overall Kiel Week was a great event, a fantastic learning experience and I’m sure I will be back in the future. I am recently back from a great training session and the Midwinters East Regatta in Florida. While on my reading week I went to work in preparing myself for u21 worlds in Gdynia, Poland this summer. Four days of solid training with a great group of sailors including a couple of Olympians gave me a clear insight into what it takes to be at the top of this fleet. The four days of racing were filled with difficult and puffy conditions that tested even the best sailors. That combined with a very deep and competitive fleet resulted in more tough racing. I stumbled out of the blocks on the first day posting poor scores of 35 and 34 in the first two races. I followed that up with better and consistent finishes in the 20s and teens. I finished a disappointing 24th out of 42, but it is important to for me to remember that my focus for this regatta was on process goals and not placement goals. I found I struggled with my starts, so I will continue to focus on this more in the coming months. For now, I am back at school finishing up my semester and will be working in the gym continuing to improve my fitness until I can get back on the water again to train. 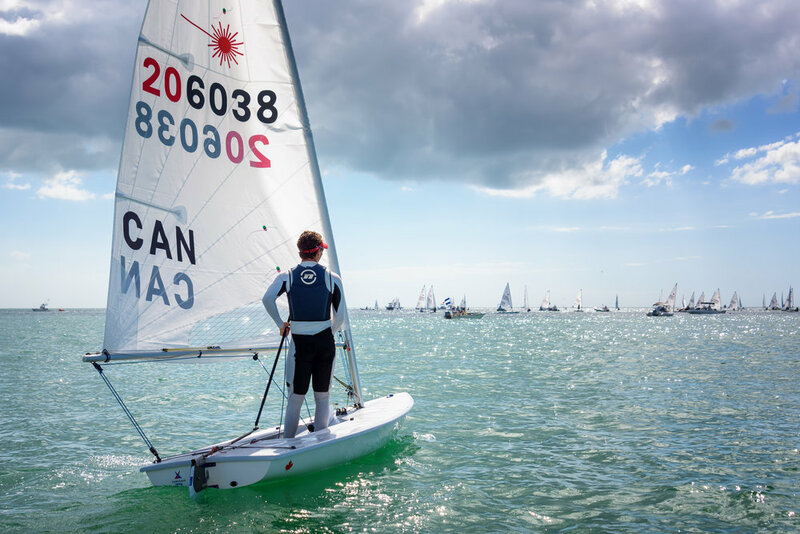 I am grateful to be a recipient of Ontario's Quest for Gold Funding and recently was asked by the Oakville News what this funding means to me and my goals in the sport of sailing. In short, as the only funding I currently receive it is crucial to helping me meet my goals. In addition, my hope is that the Quest for Gold program and/or others like it will be around for many years and continue to support our dedicated amateur athletes who have Olympic dreams with the funding needed to make them come true. When I am alone in my boat competing head to head with the best in the world it is inspiring to know that Ontario is with me.